While looking for a grant it is important to be knowledgeable and motivated. In this field there are many organizations and people who can help you through the grant process. Unfortunately, there are also people who are waiting to take advantage of your situation. They are able to do this through the many fees and costs linked to buying a house. Matters that involve money always need to be handled with care. Home buyers are not carrying around piles of cash and probably have it stored in a savings account. This amount needs to be paid at safe, trustworthy location. You must make sure to avoid scams and scammers. There are many national, state and local programs and grants available to first-time home buyers. Various programs and subsidies can help cover a large amount of “acquisition costs” and allow people to get a higher percentage of loans to finance. Unlike a loan or a debt, a grant will not have to be repaid. This means that these programs are aligned in those areas where the government wants to capitalize the revitalization of a community. It makes these grants essential for both home buyers and the community. Grants are actually gifts of money from a public or private body. If you are approved for a grant, you never have to pay the money back. There is nothing like free money, although most grants help to connect with down payments or the costs of closing. There are also many programs that provide funds for other purposes in the process of buying a house. A lack of reimbursement is one of the main reasons why grants exist. Grant assistance can be found at many places, including the U.S. government. There is a department of the U.S. government named Housing and Urban Development. This department gives billions of dollars every year to housing grants, even though they have no direct dealing with home ownership. Still, they are turning the home ownership dream into reality. Even though a large part of the American Dream is to own your own house, buying your own home is very difficult in America. According to the Census Bureau, 67% of Americans own their homes. That still leaves a huge percentage of people who cannot buy their own houses, mainly because they can’t afford closing costs and down payment of commercial loans. If you are buying a home for the first time, you can file for a buyer grant. To be applicable for a buyer grant you must fill out an application very specifically. There are a few steps to follow when applying for a buyer grant. First, find a home buyer grant that fits you. Then, check the requirements of that grant program. Finally, find an approved lender and fill out all the application forms correctly. To accomplish your goal, you need to study the important things to your success and research the matter thoroughly. The HUD website is a great resource for buying a home, whether it’s your first or your tenth. This website provides all of the important information you need to help you on your journey to homeownership. A lot of money goes to support the purchasing of HUD programs. Different states have different programs and conditions for home buying grants. The one thing they have in common is that all fifty states have explicit grants for first-time home buyers. You can filter these programs to more localized assistance. Subsequently, many cities and counties have their own grant programs. You should check what grants are available in the community you are planning to move to. Buying your first home seems like an expensive, unapproachable and difficult step. You don’t need to worry because there is help available. Do not be afraid to inquire with your broker or lender because you never know what kind of trouble may grasp your all money. First time home buyers have many advantages, but they also need to watch out for scams. Finding ways and means to accumulate the extra cash can appear elusive. But a number of tax credits and tax breaks options have been designed to make it easier for buyers to buy their first homes. First-time homebuyers can get grants and qualify for credit from the IRS. In the past they have been able to get up to $8,000. Who can Qualify for Tax Credits? – A person who hasn’t owned a residence during a tenure of three years, up until the day they purchase the property. -The same rules apply to the person’s spouse as well. -Any single parent who owned a house jointly with their former spouse during the time they were married. -Someone who has owned a property, that wasn’t permanently affiliated to any foundation as per the proper regulations. Another important thing to note is the difference between tax credit and tax deduction. Often people think both these terms are essentially the same. However, they’re not. Tax deduction actually reduces your taxable income. In comparison, a tax credit is a reduction in the amount of taxes you owe to the government. You can save a considerable amount of money with a tax credit. #1. Mortgage payment interest deduction. This is fairly well known. Nevertheless, this is one of the most beneficial tax breaks that home buyers can take advantage of. The Mortgage Interest Deduction, or MID, is valid for loans up to $1 million. It covers the interest paid on the loans. The MID scheme is very useful for people with new loans, since their interest rates are usually higher. Homebuyers will receive a large chunk of the tax benefit upfront, since the first repayments have the highest value of interest. To claim the MID benefit, a homebuyer will have to file an itemized tax return. The Mortgage Credit Certification is another program that helps thousands of first-time homebuyers secure a tax break. The IRS stated that the program is aimed at helping the lower-income groups afford their first home. This scheme is different from the deduction scheme since it reduces the amount of taxes you owe. Depending on the price at which you purchased your home, you can get back up to 30% of the interest you pay as tax credit. 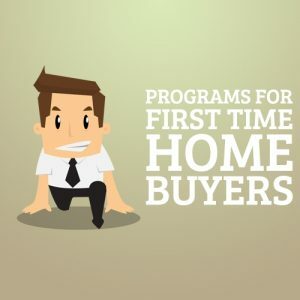 Although the program is not that popular, it can be really helpful to first-time buyers. You can get a considerable amount of money back every year. It’s important to note that the program is administered by local authorities and can vary according to the state you live in. To qualify for this tax credit, you will need a Mortgage Credit Certificate issued by the local government. Getting ready to buy your first home? Don’t overlook getting some money from an IRA, because you are eligible for a sum of $10,000. This money can help you cover the down payment and other ancillary costs, as well. As an added bonus, first-time homebuyers won’t have to pay the 10% penalty which is usually applied to early withdrawals. Since every individual is entitled to get a lump sum of $10,000 from their IRA accounts, you can use this policy to your advantage. You can ask your spouse or any of your family members to withdraw $10,000 from their IRA accounts, ending up with more money. Home improvements can earn you tax deductions in multiple ways. You can use a home-improvement loan to finance the cost of improvements in your home. These loans also qualify for MIDs, as mentioned above. The interest on a home-improvement loan is deductible in full, up to a sum of $100,000 in debt. This will help you keep track of the home improvement costs. When you decide to sell your house, you just add the improvement cost to the value of your property. If the selling price of your home is more than you had spent to procure it, then the extra income will be considered taxable. You can reduce the value of this taxable income by adding the home improvement costs. This can help you save a big chunk of money in taxes during the sale. Do you work from home? Well, you are in for some good luck. The amount of space in your home that is dedicated towards official activities is tax-deductible. This deduction will include loan interest, insurance amount, other utilities and repairs. However, there are certain guidelines for taking advantage of this deduction. #6. Home energy tax credits. The IRS rewards homeowners who make efforts to create eco-friendly homes. The Residential Energy Efficiency Property Credit can cover the costs that are spent towards making the home more energy efficient. Homeowners can save around 20-30% of the costs incurred for installing energy efficient appliances. Another important factor is that it counts as a credit, which means it will reduce your tax bill, directly. To apply for this tax credit, you must invest in appliances that harness energy from renewable sources. Examples of these sources are solar panels, wind turbines, fuel cells, etc. These are not the only schemes, there are certain other tax breaks and tax credit policies as well. Make sure you consider all the tax deductions and tax credits to get the maximum benefit out of these schemes.